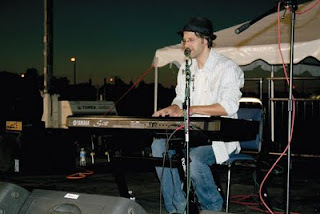 For the fourth year in a row, I had the honor to perform at the Moses Lake, WA Relay for Life. This year, I was also the guest speaker at the opening ceremonies. The local newspaper, the Columbia Basin Herald, covered the event, took photos, video, and even live-streamed the event. Click the picture or here to read the story. Thank you so much for sharing your story, music & becoming a part of the Moses Lake Relay family and calling it your second home!! I LOVE your talent, inspiration & positive outlook on life...even if I could live with just a 1/4 of it...my life would be good!!! Hugs my friend!! U ROCK! !